studying is taking all my time lately and still I have so much going on my head , it's bothering me so much that sometimes I cant sleep at night , I am in my last year and things got more difficult with the new exams system that came two months ago . first we have three main subjects , Medicine , Paediatrics and Surgery , and for the last few years exams always start later in December and there is always one month break between each exam , but this year the examination committee came out with a new brilliant idea which is finishing all the exams in one month , can any one tell me how can we study or revise for those exams in one week break for each subject, OK since Surgery is first to come it will have more than one week time , but what about Paediatrics and Medicine , I mean if anyone know anything about Med school then can you imagine one week for revising medicine and for those who don't know then take a look at the book I have to finish and tell me how , until today and for one month and a half I still didn't finish revising half of it , it takes so much time and so much memory to remember everything ,and in the exam they want you to act like you are one of them and you've been working in the hospital for 20 years and you can get and know everything ,, in the past students used to complain of how unfair the exams are , well look at us this year and you will feel so lucky you had more time than we have now , I really don't know what is going to happen and I cant imagine dropping one of the subject so I can study the others , all I know is that I am depending on god and isnahllah whatever I do it will get me through all the difficulties they put for us , I know we aren't in urgent need for new doctors here because the country is full of them but I want to get over with this as soon as possible , in the end pray for me all I get through this . 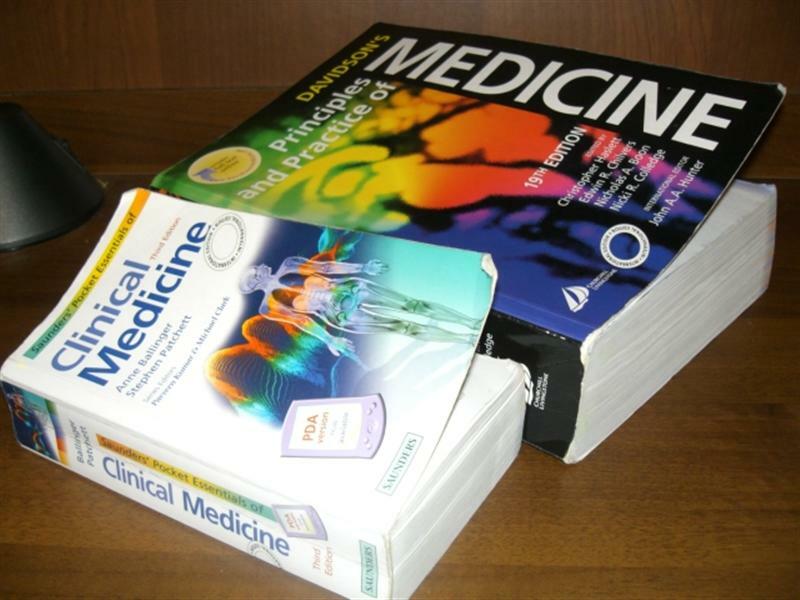 these two books are only for Medicine , we still have other books for Surgery and Paediatrics so dont worry . Oh come on! The last thing I want to see while I'm online is Kumar & Davidson man, what r u tryin' 2 scare me off from goin' online or what? Do us a favor and take 'em down, dude lol!